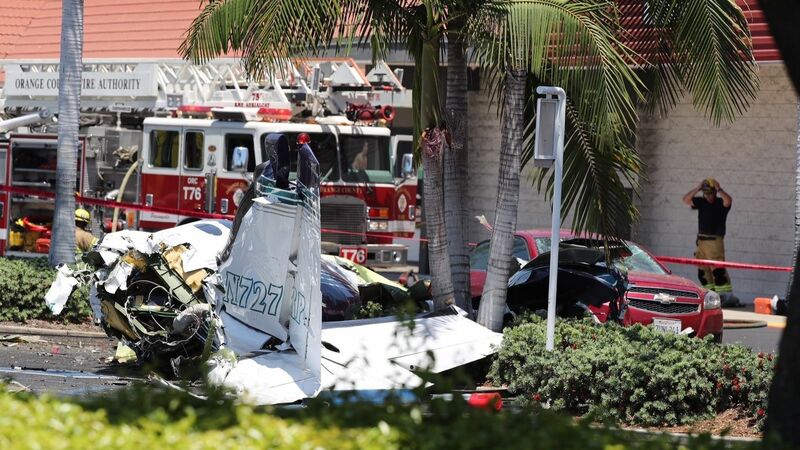 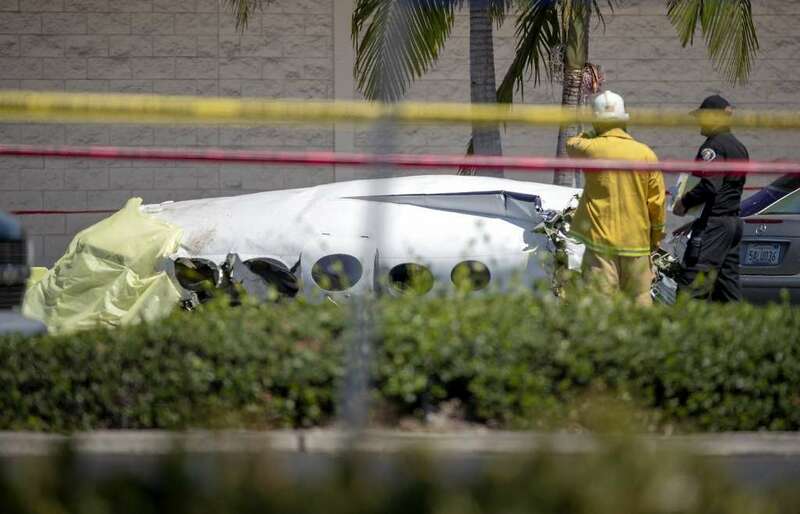 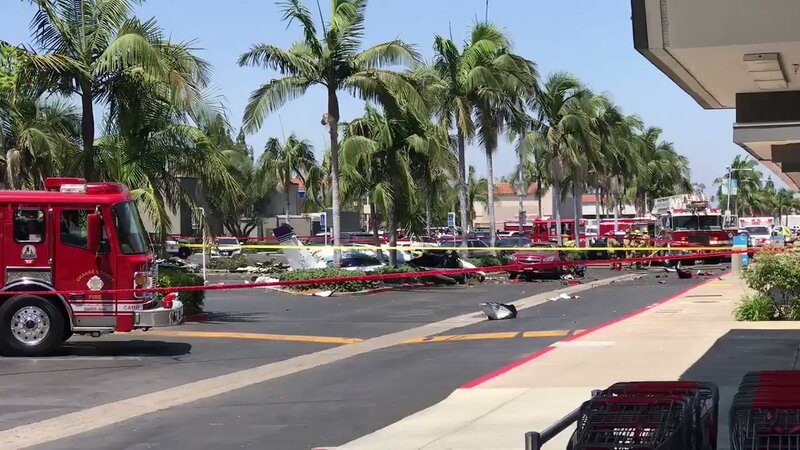 While approaching Santa Ana-John Wayne Airport in excellent weather conditions, the twin engine aircraft entered a dive and crashed in a vertical attitude in the parking lot of a commercial mall located in Bristol Street, about 1,7 mile northwest of the airport. 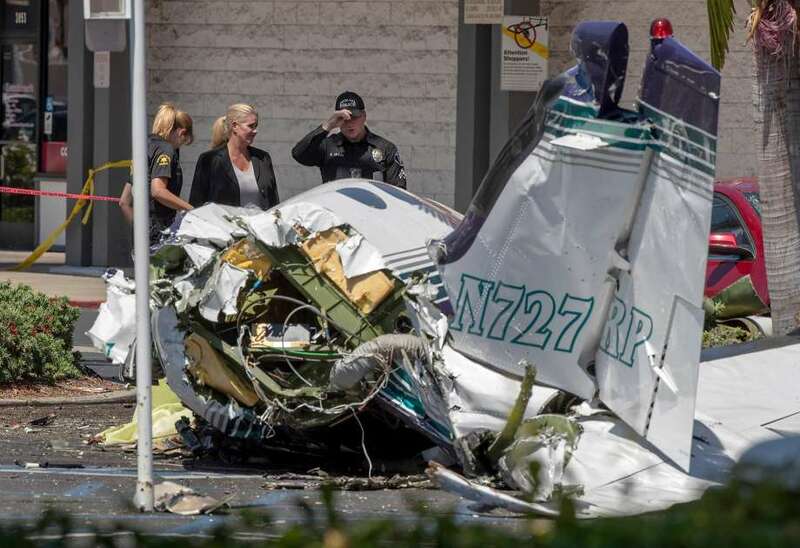 The aircraft was destroyed by impact forces and there was no fire. 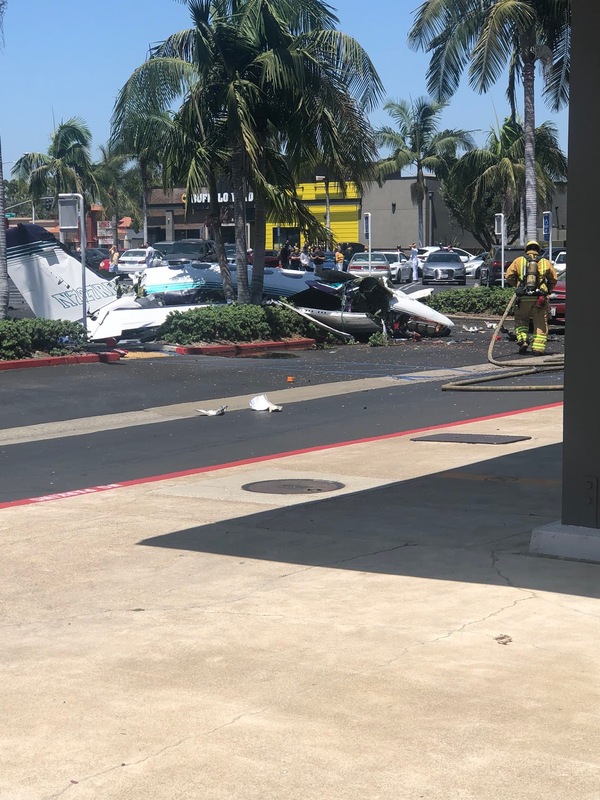 At least one vehicle on the ground was destroyed. 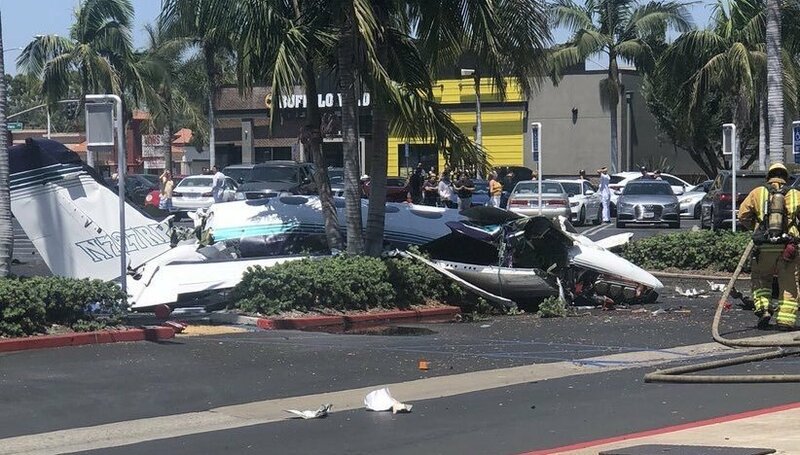 All five occupants were killed while no one on the ground was injured.